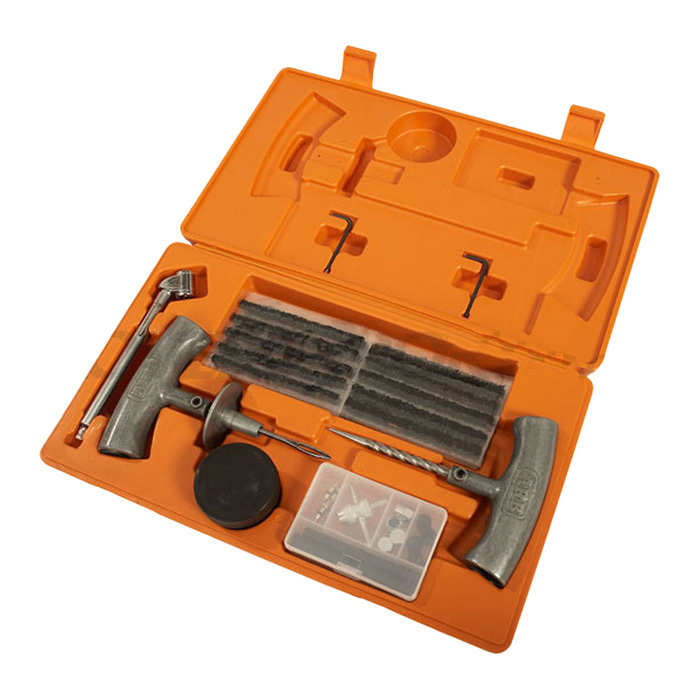 The Speedy Seal Tire Repair Kit includes all the components necessary to repair tubeless radial or cross ply tires, without removing the tire from the vehicle or rim. This includes a quality pencil type tire gauge with dual pressure range and dual chuck, insertion and reamer tools, lubricant, additional valve accessories and 30 self vulcanizing repair cords for complete air sealing. Spare repair cords are also available in packs of 50 from ARB, so before you head out on your next 4x4 trip, make sure you’ve got all the necessary equipment for making emergency repairs.